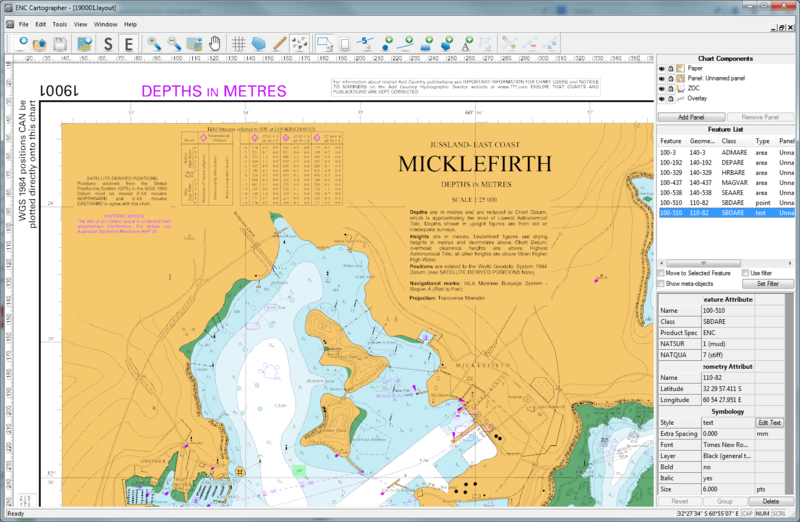 ENC Cartographer is the paper chart production and maintenance component of the ENC Tools suite. It allows you to create and maintain INT1/INT2 compliant paper charts from your S-57 data source. ENC Cartographer can be operated as a stand-alone application or integrated with other ENC Tools. It can be used to create official paper charts or special purpose low-run custom charts and outputs directly to a printer/plotter, or to a file. Source cells are not modified by editing in ENC Cartographer and remain as the single point for maintaining the paper product. ENC Cartographer’s editing tools allow cartographic work to be carried out quickly and efficiently, ensuring that both ENC and Paper products are aligned and up-to-date. Charts can be formatted to include plan/s and/or insets of differing scales and projections.